The Civil Procedure Code, 1908 - Section 89 - The Court Fees Act, 1870 – Section 16 - The Maharashtra Court Fees Act, 1959 – The Legal Service Authority Act, 1987 – Section 21 - Award of Lok Adalat - Refund of Fee - A litigant who settles a suit before Lok Adalat held under the Act of 1987 is entitled to 100% refund of Court Fees paid. Petitioners being plaintiffs in the suits settled before the Lok Adalat held under the Legal Service Authority Act, 1987 are entitled to 100% refund of Court fees. Therefore, notwithstanding objections raised during inspection or audit, the petitioners are not liable to refund any part of the amount of Court fees refund which is received by them. 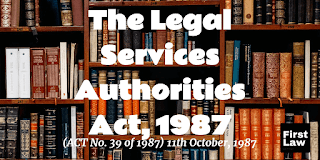 The Court Fees Act, 1870 – Section 16 – The Legal Service Authority Act, 1987 – Section 21 - Award of Lok Adalat - Refund of Fee - The object of incorporating Section 16 of the Central Court Fees Act in Section 21 of the Act of 1987 is to encourage the parties to settle the suits before the Lok Adalat. It is crystal clear from the preamble that the Act has been enacted inter alia with the object of providing for organization of Lok Adalats to secure that the operation of the legal system promotes justice on the basis of equal opportunity. On conjoint reading of objects and reasons as well as the preamble, it is apparent that the said Act of 1987 has been enacted for giving effect to the directive principles laid down in Article 39A of the Constitution of India. Perhaps, keeping in mind the objects of the said Act of 1987 that Section 16 of the Central Court Fees Act was incorporated in Section 21. 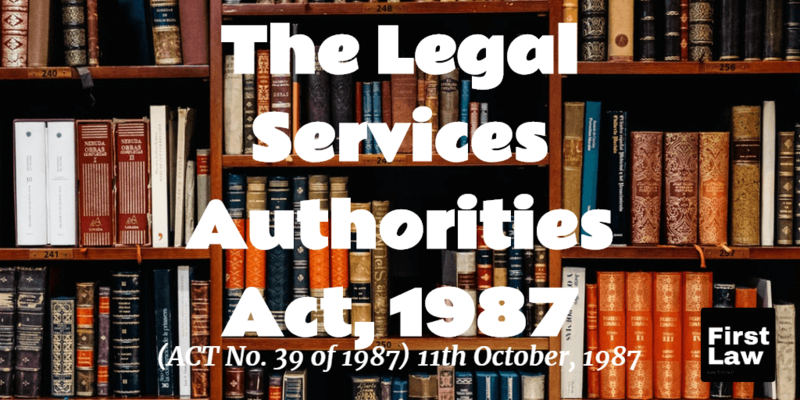 The Legal Service Authority Act, 1987 – Section 21 - Award of Lok Adalat When a civil suit is referred to a Lok Adalat which ends with an Award of the Lok Adalat, the plaintiff is entitled to 100% refund of Court fees paid in the said suit. The Registrar (Judicial­I) to circulate soft copies of this judgment to the learned Principal District Judges and the Principal Judges of the other Courts such as Family Courts, Motor Accident Claims Tribunal, who in turn shall forward the soft copies of this judgment to the other Judicial Officers. A soft copy of this judgment shall be forwarded to the Registrar (Inspection­I) of this Court. CORAM : A.S. OKA & M.S. SANKLECHA, J.J.
WITH WRIT PETITION NO. 9868 OF 2017 Maharishi Shankarrao MohitePatil Sahakar Sakhar Karkhana Ltd, Shankarnagar. Tal. Malshiras Dist. Solapur .. Petitioner v/s. 1. The State of Maharashtra Through the Public Prosecutor Legal Cell Department High Court, Mumbai – 400 001 2. District Court, Solapur 3. Suyog Sugar Trading Co.
1. On the earlier date, we had put the parties to the notice that considering the importance of the issue involved, the petitions will be taken up for final disposal at the admission stage. Accordingly we issue Rule. The learned Government Pleader waives service for the first respondent. Considering the nature of controversy, notice to the second and third respondents is dispensed with. 3. The factual aspect in all these three petitions are more or less same. Therefore, we are referring only to the facts in Writ Petition No.9864 of 2017. The petitioner filed a money suit against the third respondent in the Court of Civil Judge, Senior Division at Malshiras, District Solapur. The suit was placed before the Lok Adalat on 9th April, 2016. A compromise was arrived at between the parties before the Lok Adalat and a written compromise was tendered on record before the Lok Adalat. The suit was disposed of in terms of the compromise by the Lok Adalat and an award was made. 4. On 14th July, 2016, an application was made by the petitioner before the learned Trial Judge for refund of the entire amount of Court fees of Rs.3 lakhs paid on the suit. The learned Trial Judge passed an order granting 100% refund in the light of the provisions of Section 89 of the Civil Procedure Code (for short “CPC”) and Section 21 of the said Act of 1987. Accordingly, a refund was made of the Court Fees of Rs.3 lakhs. On the basis of an objection raised during the inspection of the District Court, the learned Trial Judge issued a notice dated 6th July, 2017 to the petitioner informing the petitioner that though the petitioner was entitled to refund of only 25% of the Court fees, the petitioner was granted full refund. Therefore, the petitioner was called upon to deposit a sum of Rs.2.25 lakhs. The present petition is filed for challenging the said communication / demand issued by the learned Trial Judge to the petitioner. 5. The submission of the learned Counsel appearing for the petitioner is based on Section 21 of the said Act of 1987. He submitted that provisions of the Court Fees Act, 1870 (for short “the Central Court Fees Act”) regarding the refund of the Court fees stands incorporated in subSection (1) of Section 21 of the said Act of 1987 and as the provisions of Central Court Fees Act provide for grant of 100% refund of Court fees in the suits settled before the Lok Adalat, the Trial Court was justified in granting 100% refund. He placed reliance on the observations made by a Division Bench of this Court in the case of Sanjeevkumar Harakchand Kankariya Vs. Union of India & Ors., Writ Petition No. 4919 of 2014, decided on 1st October, 2014 and in particular in paragraph 14. He submitted that it is already held by the Division Bench that Section 21 of the Act of 1987 is a case of legislation by incorporation. 6. The learned Government Pleader relied upon an affidavit of Shri. Rajendra Dattaram Sawant, Legal AdvisorcumJoint Secretary, Law and Judiciary Department, Mantralaya, Mumbai. The submission of the learned Government Pleader is that so far as the payment and refund of Court fees in the Civil Courts in Maharashtra is concerned, the Maharashtra Court Fees Act, 1959 (for short “the State Court Fees Act”) is a complete code by itself. He urged that Section 43 of the State Court Fees Act provides for repayment of Court fees in case of settlement and, therefore, in the facts of the case, the repayment or refund of Court fees will be governed by the Notification dated 8th May, 2013 issued in exercise of powers under subSection (2) of Section 43 of the State Court Fees Act. He pointed out that going by the said Notification, in the present case, the petitioner is entitled to refund of Court fees only to the extent of 25%. He also invited our attention to the decision of the Division Bench of this Court in the case of Sanjeevkumar S. Kankariya (supra) and submitted that the question which arises in these petitions never arose before the Division Bench and, therefore, what is observed in paragraph 14 cannot be a binding precedent. He also relied upon the Maharashtra Court Fees Amendment Act, 2017 (For short “the Amendment Act”) and Section 16A incorporated in the State Court Fees Act by the said Amendment Act. He pointed out that Section 16A provides for 100% refund of the Court fees, in case the Court refers the parties to the suit to any of the modes of settlement of disputes referred in Section 89 of CPC. He also relied upon an extract of 189th Report on “Revision of Court Fees Structure” by the Law Commission of India. He, therefore, submitted that the learned Trial Judge was justified in calling upon the petitioner to deposit a sum of Rs.2.25 lakhs. “21. Award of Lok Adalat. (1) Every award of the Lok Adalat shall be deemed to be a decree of a civil court or, as the case may be, an order of any other court and where a compromise or settlement has been arrived at, by a Lok Adalat in a case referred to it under subsection (1) of section 20, the courtfree paid in such case shall be refunded in the manner provided under the Court Fees Act, 1870. We must note that Section 16 is brought on the statute book by the Act No.46 of 1999 by which there were major amendments carried out to CPC. "8(1) Where this Act, or any Central Act or Regulation made after the commencement of this Act, repeals and reenacts, with or without modification, any provision of a former enactment, then references in any other enactment or in any instrument to the provision so repealed shall, unless a different intention appears, be construed as references to the provision so reenacted." "If a subsequent Act brings into itself by reference some of the clauses of a former Act, the legal effect of that, as has often been held, is to write those sections into the new Act just as if they had been actually written in it with the pen, or printed in it, and, the moment you have those clauses in the later Act, you have no occasion to refer to the former Act at all." 'When a single section of an Act of Parliament is introduced into another Act, I think it must be read in the sense which it bore in the original Act from which it was taken, and that consequently it is perfectly legitimate to refer to all the rest of that Act in order to ascertain what the section meant, though those other sections are not incorporated in the new Act.' [Portsmouth Corpn. V. Smith, (1885) 10 AC 364 (HL) at p.371]”. 11. In the light of the aforesaid two decisions, subSection (1) of Section 21 of the Act will have to be interpreted. On plain reading of subSection (1) of Section 21, the provisions regarding the refund of Court fees in relation to the cases settled before the Lok Adalat under the Central Court Fees Act, have been specifically incorporated in subSection (1) of Section 21. The effect of such incorporation is that the provisions of Section 16 of the Central Court Fees Act stand incorporated in subSection (1) of Section 21 and Section 16 has now become a part of subSection (1) of Section 21. As pointed out earlier, Section 16 is applicable when a suit referred by the Court to one of the three modes of settlement under Section 89 of the CPC, which includes Lok Adalat, is settled. Thus, it is crystal clear that once there is a settlement of a suit before the Lok Adalat, by virtue of incorporation of the provisions of Section 16 of the Central Court Fees Act into subSection (1) of Section 21, the plaintiff in a suit settled before the Lok Adalat by an Award of a Lok Adalat, will be entitled to 100% refund of Court fees. Provided that, no such fee shall be repaid if the amount of fee paid does not exceed [twenty five rupees] or the claim for repayment is not made within one year from the date on which the Suit, [proceeding,] appeal or crossobjection was settled by agreement. 13. We must note that per se Section 43 does not deal with a suit or an appeal which is settled before the Lok Adalat and which culminates into an Award made by the Lok Adalat. Reliance was sought to be placed by the learned Government Pleader on Section 16A as amended by Maharashtra Act No.X of 2018. The said provision is applicable when the Court refers the parties to the suit to one of the three mechanisms under Section 89 of the CPC and the suit is disposed of by the Court. On conjoint reading of the provisions of Sections 19 and 20 of the said Act of 1987, a Lok Adalat organized under Section 19 is empowered to dispose of a case referred to it, when parties arrive at settlement. In such a case, an Award is made by the Lok Adalat in terms of the settlement. Section 20 contemplates that after a case is referred to the Lok Adalat by a regular Court, if the parties arrive at settlement, the case need not go back to regular Court for passing an order in terms of the settlement, but the Lok Adalat is empowered to pass an Award in terms of the settlement. “.Article 39A of the Constitution provides that the State shall secure that the operation of the legal system promotes justice, on a basis of equal opportunity, and shall, in particular, provide free legal aid, by suitable legislation or schemes or in any other way, to ensure that opportunities for securing justice are not denied to any citizen by reason of economic or other disabilities. 2. With the object of providing free legal aid, Government had by a Resolution, dated the 26th September, 1980, appointed the “Committee for Implementing Legal Aid Schemes” (CILAS) under the chairmanship of Mr. Justice P.N. Bhagwati (as he then was) to monitor, and implement legal aid programmes on a uniform basis in all the States and Union territories. CILAS evolved a model scheme for legal aid programme applicable throughout the country by which several legal aid and advice Boards have been set up in the States and Union territories. CILAS is funded wholly by grants from the Central Government. The Government is accordingly concerned with the programme of legal aid as it is the implementation of a constitutional mandate. But on a review of the working of the CILAS, certain deficiencies have come to the fore. It is, therefore, felt that it will be desirable to constitute statutory legal service authorities at the National, State and District levels so as to provide for the effective monitoring of legal aid programmes. The Bill provides for the composition of such authorities and for the funding of these authorities by means of grants from Central Government and the State Governments. Power has also been given to the National Committee and the State Committees to supervise the effective implementation of legal aid scheme. 16. It is crystal clear from the preamble that the Act has been enacted inter alia with the object of providing for organization of Lok Adalats to secure that the operation of the legal system promotes justice on the basis of equal opportunity. On conjoint reading of objects and reasons as well as the preamble, it is apparent that the said Act of 1987 has been enacted for giving effect to the directive principles laid down in Article 39A of the Constitution of India. Perhaps, keeping in mind the objects of the said Act of 1987 that Section 16 of the Central Court Fees Act was incorporated in Section 21. The object of incorporating Section 16 of the Central Court Fees Act in Section 21 of the said Act of 1987 is to encourage the parties to settle the suits before the Lok Adalat. The opinion expressed by the Division Bench supports the view which we have taken.